When I heard the song “I am 16” – “Chnam Oun 16” – by Bochan, I thought she must speak for so many Cambodian daughters, mothers, and grandmothers with her gripping lyrics of survival. And Bochan has just said, Yes, we can use her song as the audio for a book trailer for Either the Beginning, and I think nothing in the world could honor my character Sofie and her family more. Thank you, Bochan. Her dad was a pop musician in Cambodia in the early 1970s, playing psychedelic music brought to South East Asia from the west. Bochan brings his version – and her own interpretation – to America. Bochan writes, “I get to chose my identify.” Sofie wants this same thing. Stay tuned: Curious City with videographer Fred Okot Ben are creating a trailer for Either the Beginning or the End. Bochan welcomed us to use “I am 16” as soundtrack for the video. 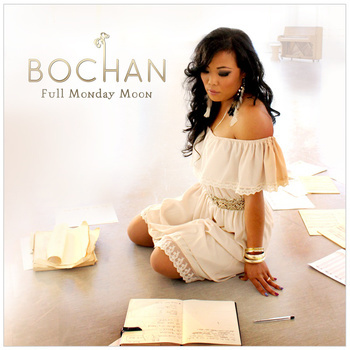 Coming soon: video trailer, and giveways of the novel and Bochan’s CD, Full Monday Moon. Beautiful and powerful song. Thank you for sharing.